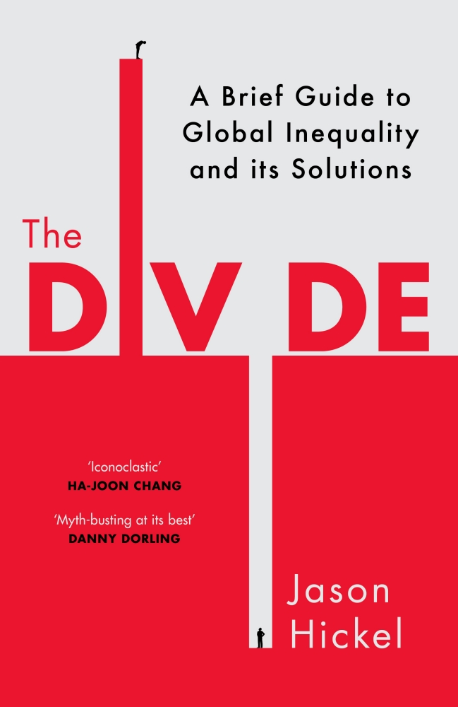 ASAP’s Membership Director Jason Hickel has written a new book titled The Divide: A Brief Guide to Global Inequality and its Solutions. For decades we have been told a story about the divide between rich countries and poor countries. We have been told that development is working: that the global South is catching up to the North, that poverty has been cut in half over the past thirty years, and will be eradicated by 2030. It’s a comforting tale, and one that is endorsed by the world’s most powerful governments and corporations. But is it true? Since 1960, the income gap between the North and South has roughly tripled in size. Today 4.3 billion people, 60 per cent of the world’s population, live on less than $5 per day. Some 1 billion live on less than $1 a day. The richest eight people now control the same amount of wealth as the poorest half of the world combined. What is causing this growing divide? We are told that poverty is a natural phenomenon that can be fixed with aid. But in reality it is a political problem: poverty doesn’t just exist, it has been created. Jason Hickel is an anthropologist at the London School of Economics. Originally from Swaziland, he spent a number of years living with migrant workers in South Africa, studying patterns of exploitation and political resistance in the wake of apartheid. Alongside his ethnographic work, he writes about development, inequality, and global political economy, contributing regularly to the Guardian, Al Jazeera and other online outlets. His work has been funded by Fulbright-Hays Program, the National Science Foundation, the Wenner-Gren Foundation, the Charlotte Newcombe Foundation and the Leverhulme Trust. He lives in London.